Setting foot in the world of politics is always tricky for businesses. Lobbying legislators quietly is one thing, but making public pronouncements about policy issues can cause big problems, as shoemaker New Balance is learning. The Boston-based maker of footwear said a few days ago that it looks like "things are going to move in the right direction" under Donald Trump, referring to Trump's opposition to free trade pacts that opponents say work against the interests of U.S. manufacturers. White supremacists piled on, lauding New Balance as “the official shoes of white people,” setting off a firestorm of protest by consumers. 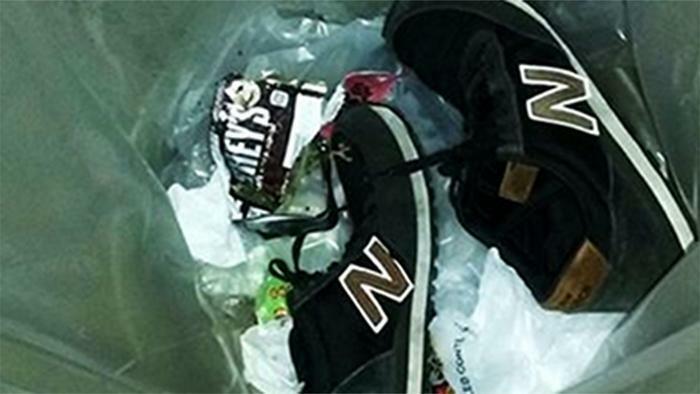 Social media sites blossomed with outraged comments and photos of New Balance sneakers in trash cans and toilets. "As a 110-year-old company with five factories in the U.S. and thousands of employees worldwide from all races, genders, culture, and sexual orientations, New Balance is a values-driven organization and culture that believes in humanity, integrity, community and mutual respect for people around the world. We have been and always will be committed to manufacturing in the United States,” New Balance said. New Balance insists that its only intent was to voice support for Trump's opposition to the Trans-Pacific Partnership, a trade pact negotiated by the Obama Administration that critics say will put U.S. jobs at risk. Other opponents include Hillary Clinton and Bernie Sanders, the company notes.